Ready for the ultimate confession? My husband snores. YES! It’s true. 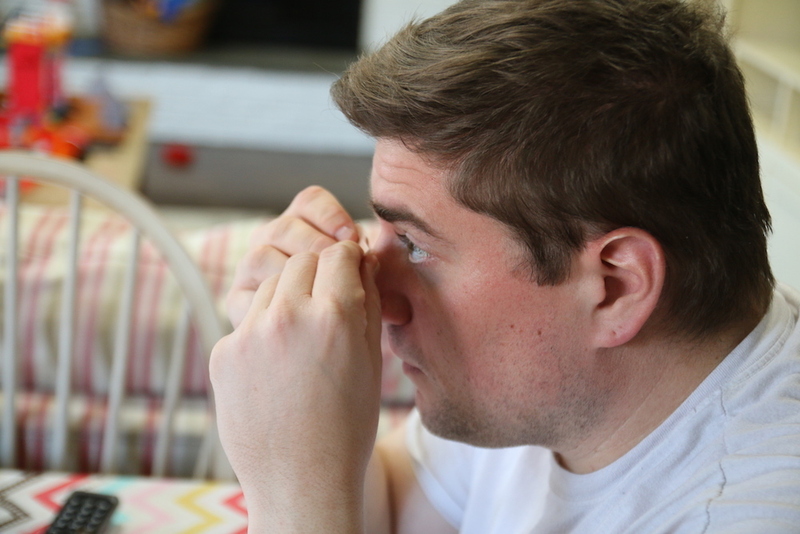 He doesn’t snore every day – it’s only when he’s sick and it’s so annoying! I mean, don’t get me wrong. I feel bad for him that he’s sick and all that jazz… but a woman needs her nighttime zzzzs and when that boy catches a cold, I know I am in for some trouble. Whether it’s because of nighttime congestion or other chronic conditions, sleepless nights can seem more like the third wheel in your relationship – something nobody needs or wants. I’m always looking for ways to help alleviate the issue – and when I say issue I mean HIS issue. Why? Because HIS issue has become MY issue. How can I take care of three little ones and go about my day when I barely clock in 4 hours a night. It’s not okay folks and I KNOW you know what I’m talking about. After a proper 8 hours, I’m like a golden unicorn… a ray of sunshine… a beam of light… a … you get my drift. It matters! 59 percent of respondents sleep next to a mouth breather and 47 percent believe it impacts their ability to get a good night’s sleep. I feel their pain. I live with their PAIN. If you or your loved one suffers from nighttime nasal congestion, Breathe Right® nasal strips are a drug-free and clinically proven way to instantly lift your nasal passage and open your nose to help you breathe better so you can sleep better. Breathe Right® nasal strips can help you and your partner get your #NightsRight, allowing you to wake up each morning ready and able to do what you do best. 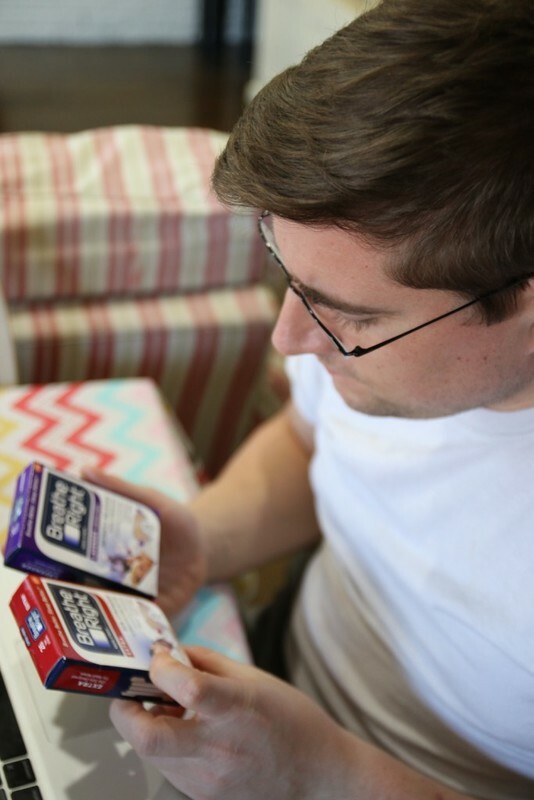 After snagging a few of these on sale, I had Bill test them out and I can’t TELL you how happy I’ve been since introducing them to his world. Looking to incorporate some of these strips into your own home? I have great news! 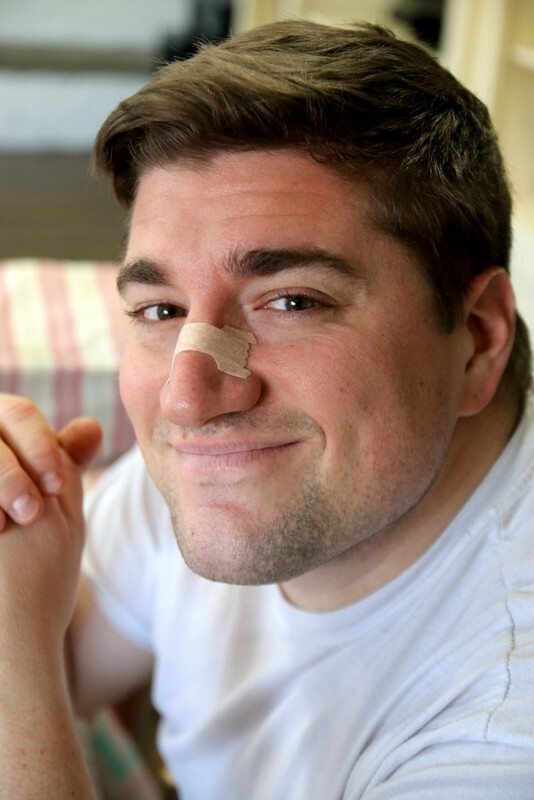 Breathe Right® nasal strips provide a variety of options to appeal to the needs of many, whether it is a calming scent or sensitive skin. Visit this page to enter the Breathe Right #NightsRight Sleepstakes to try to win $2500! I feel like I can take on the world now that I am resting soundly next to my quiet husband. Now… if only I can get him to do pick up after himself…. 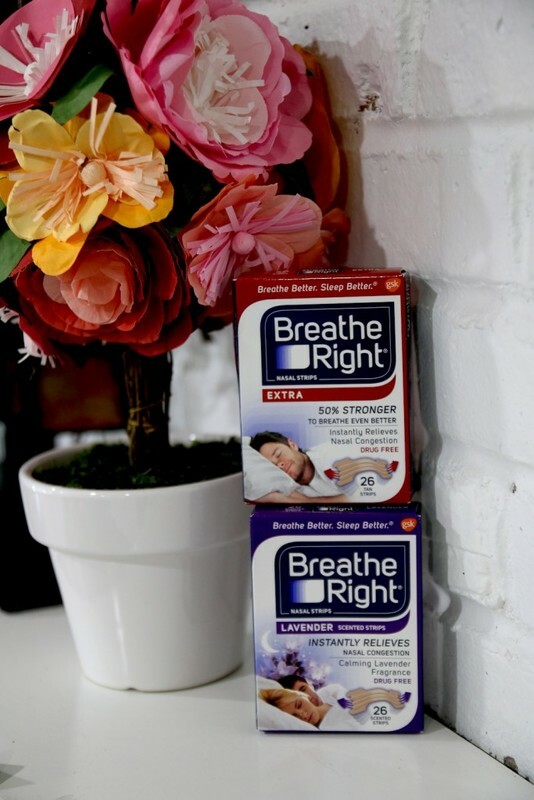 Don’t forget to share your experience with Breathe Right® on Facebook and Twitter using #NightsRight! And if you’re like me, check out how Sandi dealt with Bob’s mouth breathing in the bedroom on the Breathe Right® website. 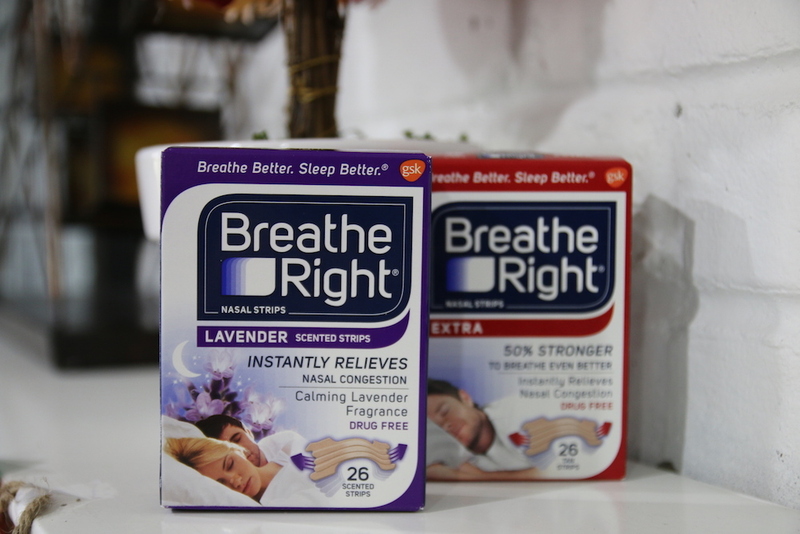 Share your experience with Breathe Right® on Facebook and Twitter using #NightsRight!